Oh, aren't cover changes fun? And one of the most disappointing changes may always be this series. The whole reason I found this series was seeing that bold graphic blue on a table at Waterstones, picking it up and just thinking: "Woah! I need this!" Now, they're generic. Bit dull? Meh-ish. I'd pass these if I didn't know who Samantha Shannon was, or the book series. Thank you to Samantha for fighting for the matching hardcovers. This is a little novella that was released back in December prior to the release of The Song Rising and can be bought either in ebook format or as bonus content in the new editions of The Bone Season. It follows Paige Mahoney during her early days at the Seven Dials and the tracking down of a rogue spirit. This didn't really add anything to the main plot for me. I already knew the characters, who they were and how the Clairvoyant underworld worked in terms of Mime-Lord territory. 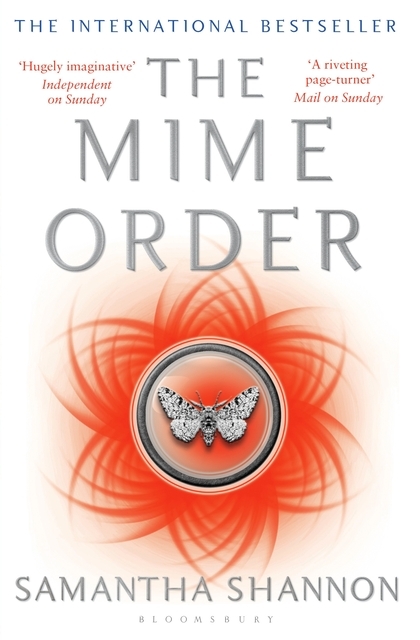 I would recommend reading this novella prior to reading The Bone Season, it could help the info-dump nature of the first book. Just by establishing characters before starting Paige's story. I have reread this book three times. That may not seem a lot, but for me that's sure as hell rare. 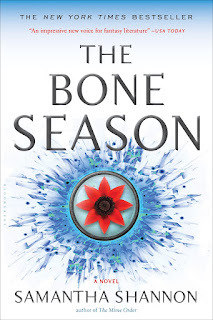 The Bone Season, is set in 2059. In a futuristic, dystopian United Kingdom. 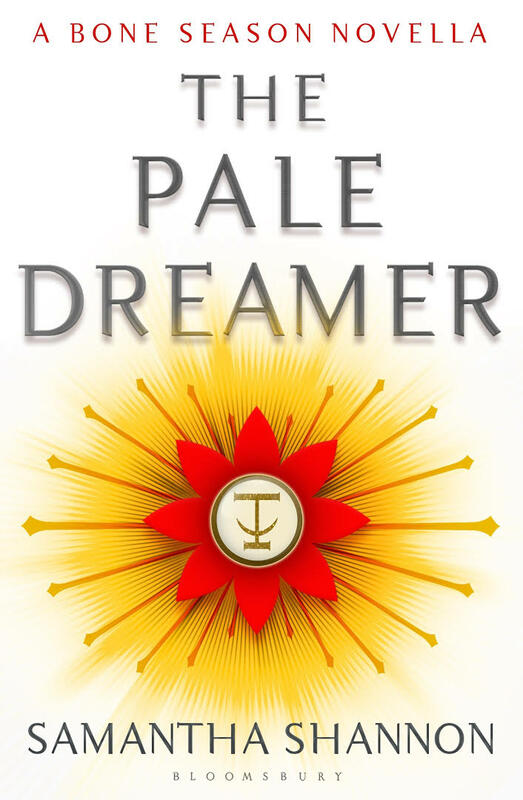 After an uprising in the number of Clairvoyants during 1859, have meant that they have become shunned and Paige Mahoney belongs to the Seven Dials, a protegee to mime-lord Jaxon Hall under the nose of the government in the criminal underworld. I find first person narratives very hard to read, there has to be a definitive voice other than my own internal voice that allows the character to breathe away from the page and into being. Shannon encapsulates that for me- I can hear the soft Irish lilt of Paige’s voice kept me engaged with her story to tell. As are the other cast of characters. Trying to get into The Bone Season can be a bit arborous, with a tendency to infodump for large chunks of the opening story. Which is the reason I have to knock a star off, because I find that to be clumsy storytelling. And one that does stagger the pacing. Anyone know a few book series that suffers with it? 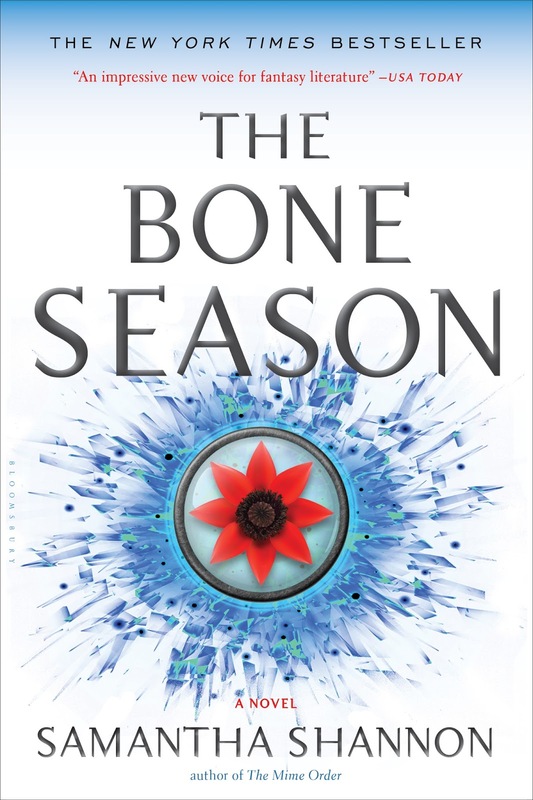 What if I said that this book is the reason you should just make it to the end of The Bone Season? Could I convince you to read it then? 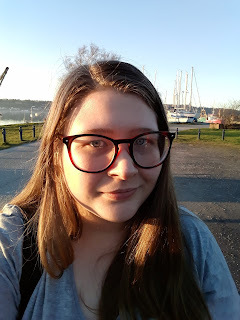 We get to see Paige in her common ground, Scion London, and I got that feeling of familiarity that Paige experience's, as well as the unfamiliarity from someone who has been away for any length of time. The kind where you move away, come back and everything is just on the cusp of being unrecognizable. This book is well-paced, gripping and worth getting to the end.